It was fun to think BIG for our 2014 recycled cardboard exhibit, Outside the Box, at SECCA. So when our academic year intern, Katharyn Valier, began to think even bigger for this year’s show—proposing the idea to combine visual art and music, the two artistic focuses of our Winston-Salem chapter—we didn’t hesitate; the gears in our heads started moving and Art Amplified (which opens this week) is the grand, harmonious result! 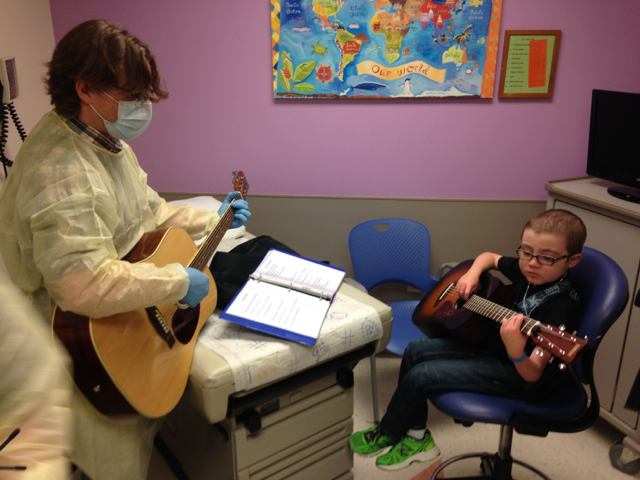 In 2014, Arts For Life Durham found its musical match with music teacher William Dawson. But you don’t have to take our word for it: You can hear for yourself on Arts For Life Radio!